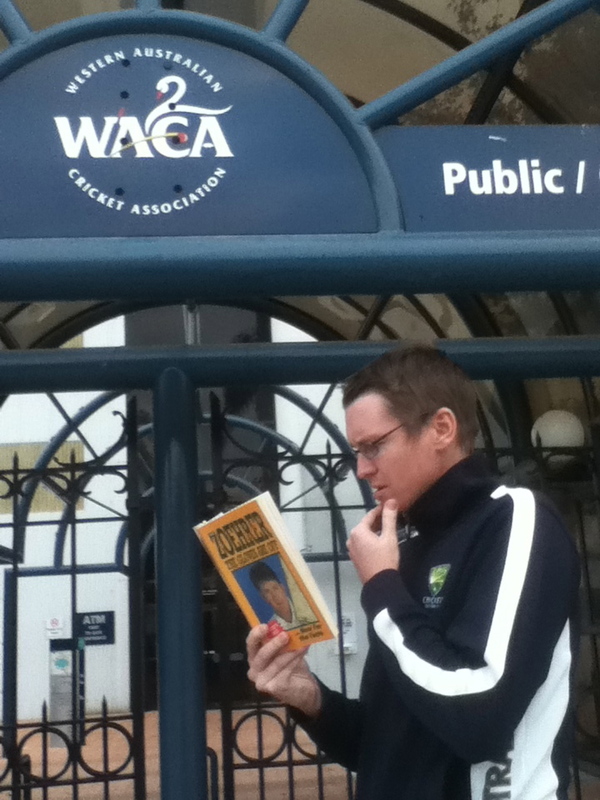 This entry was posted in Book Reviews and tagged Book Review, Cricket Library, The Gloves Are Off, Tim Zoehrer by thecricketlibrary. Bookmark the permalink. I used to work with a man who played some junior cricket against Tim Zoehrer. He said that he’s always been mad as a cut snake and that no-one was surprised that he had the big argument with Simpson. One quick correction: Zoehrer was a right arm leg spinner, not a left armer. Thanks Daniel for spotting the error, it is much appreciated! Thanks for checking out our website!